This scan body is made of titanium and is designed for both intraoral use and desktop scanning. It has a fixed internal screw and the scan body is hand tightened. 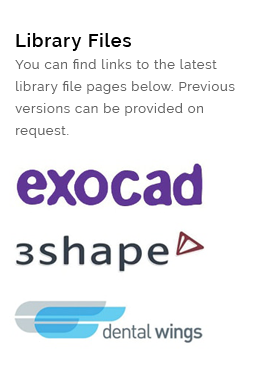 Library files are available for 3Shape, Exocad, and Dental Wings.